Mobile recreation programs make it even easier to bring fun and play to where people are- and not just kids! We deliver healthy activities and nature education all over town. 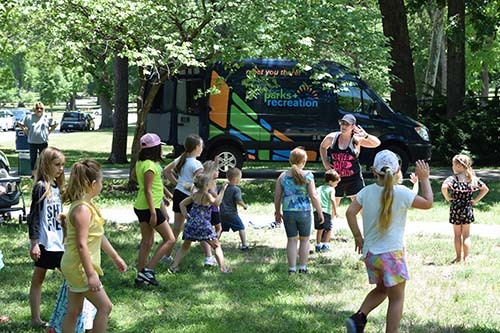 The Mobile Recreation Van is outfitted with balls, hula hoops games, art and fitness supplies. Look for the Recreation Mobile Van in your neighborhood!